I;ve just started my site, so I may not have very much news right now. Check back, I'll be updating often! Move over, Lethal Weapon: Anthony Hopkins and Chris Rock will be the unlikely partners in the buddy flick actioner Black Sheep. Rock will apparently play twin brothers, one of whom is an intellectual secret agent, The Hollywood Reporter notes. 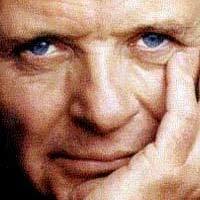 Hopkins who next appears in the highly awaited Silence of the Lambs follow-up, Hannibal will portray a weathered CIA man. "We always try and have an interesting and unusual pairing of actors, and this is about as creative as you can get," producer Jerry Bruckheimer said of the odd couple. Rock got his big break in Bruckheimer's 1987 production, Beverly Hills Cop II. No director is yet attached. With Anthony Hopkins about to return to the big screen as serial killer Hannibal Lecter in the "Silence Of The Lambs" sequel "Hannibal," now comes word that he has been offered a third shot at the part. Citing a report in London's Sunday Times, the Popcorn movie news website reports that Hopkins has been offered $20 million U.S. to star in "Red Dragon," the first of author Thomas Harris's three Lecter novels, which was previously made into a film as "Manhunter." In the hands of director Michael Mann ("The Insider"), "Manhunter" scarcely featured the Lecter character (portrayed in that film by Brian Cox) and deviated radically from Harris's story. If Hopkins were persuaded to reprise his role a third time, "Red Dragon" actually occurs before the other two films, and Popcorn said producers are considering using a new technology called Erasure, which would digitally make Hopkins appear younger on screen. "This new version has elements of the 'Red Dragon' novel that were not in the first film, so it will feel very new and exciting." At the Berlin Film Festival to promote Hannibal, Anthony Hopkins defended the film from critics who have said that its violence was gratuitous. "We are fascinated by the darkness in ourselves, we are fascinated by the shadow, we are fascinated by the bogeyman," Hopkins said about the popularity of his character, Hannibal Lecter. "You live through someone else's nightmare for a few minutes while you're safely in the theater eating popcorn. Now, if people are repulsed and terrified, so be it, I understand that, as well. It is not everyone's taste, if you forgive the pun," he said. "I don't think the people that see this film need to see a psychiatrist." He may have been referring to co-star Julianne Moore's comments to Vanity Fair that she had to discuss the violence in the film with her shrink after completing the project. Hannibal opened on Friday in the United States and Canada and has enjoyed the third most successful opening box-office weekend ever, grossing $58 million in its first three days of release. "I must confess I expected it to be big, but not this big," Hannibal producer Dino De Laurentiis told Reuters. The film, which cost $80 million to make, premiered internationally on Sunday at the Berlin Film Festival.